Abrasive blasting is an effective means of cleaning mould, grease, oil and other slippery deposits from paths, walkways, car parks and driveways around the home and in commercial environments. In addition, concrete aggregate can be exposed by abrasive blasting to create non-slip surfaces and is perfect for use around the home, and in public spaces such as shopping centres, schools, industrial parks, and commercial premises. Non-slip surfaces can be created by abrasive blasting in a variety of materials and surfaces, including concrete, tiles and pavers. 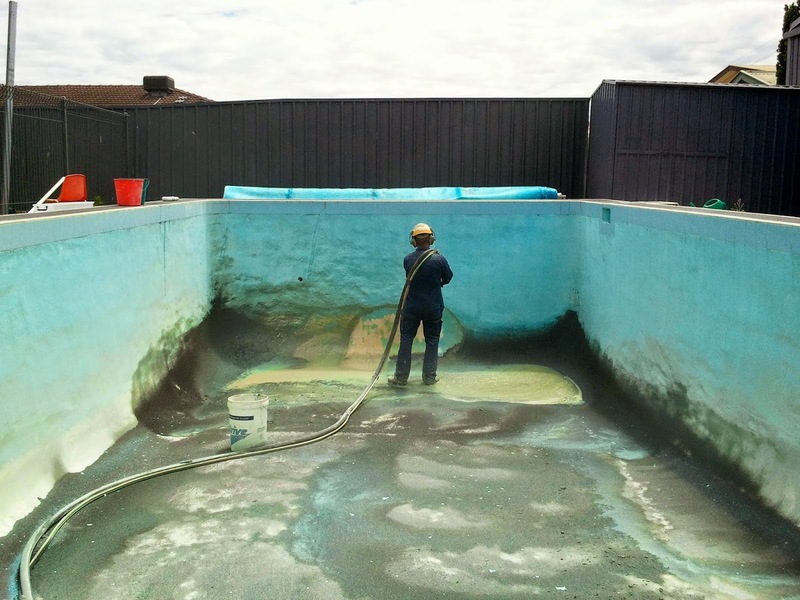 Abrasive blasting is effective both in cleaning pool surrounds and creating non-slip pathways, bus also for cleaning pool interiors, or stripping and restoring them in preparation for re-surfacing or re-tiling. Abrasive blasting is an essential tool in a wide variety of building renovation applications. It offers a versatile, efficient, thorough but gentle cleaning process that makes it ideal in all kinds of renovation and restoration tasks. To find out more, please feel free to visit our website or email us.